Milgard is one of the largest and most trusted names in the windows and doors business. 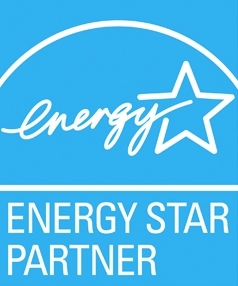 With so many options for design and improved efficiency, California Energy Services is proud to be your local certified dealer and installer for all things Milgard. 3-time winner: “Most Preferred Vinyl Window” by both Professional Remodeler and Professional Builder. With Milgard, you choose from hundreds of customizable options to fit both your home efficiency needs and your aesthetic. At CES, we offer Milgard’s many styles, and help you design windows and doors you will love for years to come. Tuscany: The most popular Milgard series with 11 operating styles to choose from. These beautiful windows and doors are the top of the line, and are built to meet or exceed Energy Star standards. StyleLine: Clean lines, functionality and durability. StyleLine windows and doors make your home feel expansive, and the slim profile allows for plenty of natural light. Essence: Re-imagined wood windows with a timeless design. Essence windows are the top wood window choice for homeowners, architects and builders. Aluminum: Designed with overall strength and lasting value in mind, Aluminum windows and doors are the ultimate in low maintenance. And with features like subtle narrow frames, they’re the best choice to showcase a great view. SmartTouch® Door Handle - A streamlined way to ensure that when your door is closed, it’s locked. SmartTouch® lock - A lock incorporated into the window sash that makes locking and unlocking a smooth process. SunCoat and SunCoatMAX Low-E Insulating Glass - A thin coating keeps heat in in the winter and reflects it in the summer. Milgard didn’t get to be the largest and most trusted name in the windows and doors business overnight. As an Award-Winning brand, Milgard delivers the most energy-saving, comfortable, and long-lasting products year after year. They’re constantly looking to redesign, improve, and update their products and hardware for maximum efficiency and comfort. The science that goes into Milgard products takes the guesswork out of energy efficient windows and doors. With so many options to meet and even exceed Energy Star ratings, Milgard is a must for any home or office. 97% of vinyl manufacturing scrap goes in a clean waste stream that is recycled for future window frames. The remaining 3% is recycled into other products such as garden hoses. Need help deciding where to start? Our inspectors help you visualize your desired windows and doors using Milgard’s mobile Inspiration Center. At CES, we understand the importance of energy efficient and beautiful windows, and we’re ready to assist you in your search. Call us today to schedule your free Milgard consultation. quality products & superior installation. "It was great and very good. We are SO happy that your professional work is very effective. Thank You"
Some windows are more efficient than others. Check out our guide to what makes a window energy efficient! New Windows Can Save You Money All Year Long! Fall is right around the corner, and now is a better time than ever to consider installing new windows in your home. Many people assume that window upgrades do little more than just boosting a home’s aesthetic value, but this couldn’t be further from the truth. With new windows, you can enjoy enhanced home performance while flooding your home with pleasing natural light in the process.